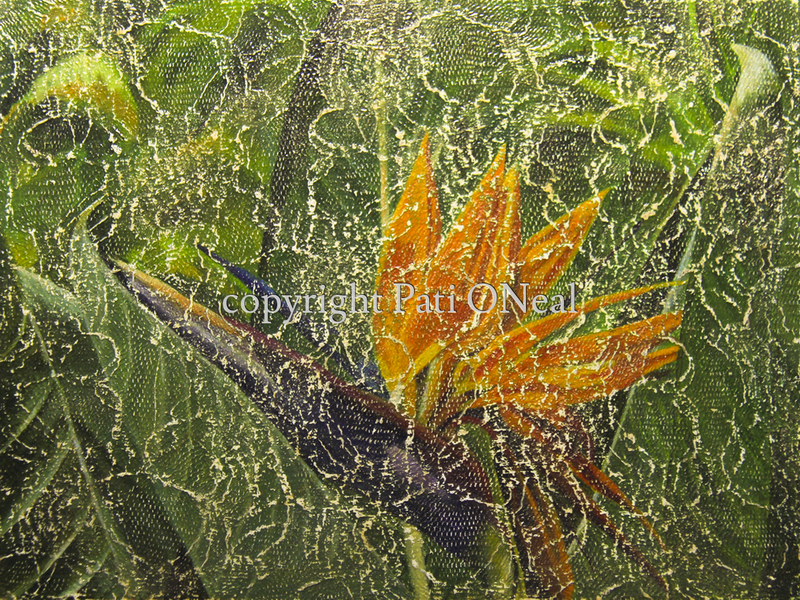 Bird of Paradise painted in acrylic on a textured wooden panel. Original work is currently available at Sunshine Arts Gallery in Kahalu'u on the windward side of O'ahu. Contact the artist for further information or for a similar commission.